"A bright radiance surrounds the outer movements, the first purposeful, the last almost a joyous 'hunting' finale ..."
"Connoisseur's Choice Recording ... Bax and the Southbank Sinfonia bring a new lease of life to these concertos, making the most of the clean lines as well as the cheekier moments hidden within the score ... the result is youthful, beautiful music, peppered with Mozart's trademark tunes." "Four Stars ... Bax here extends his repute as a performer of gossamer brilliance with a Mozart disc ... dear to his own heart. What strikes me about these two oft-performed concertos in Bax’s realization with the youthful players of the Southbank Sinfonia under Simon Over has to be the sustained level of controlled intimacy each of the works projects, that rare combination of fleet digital fluency and interior drama that emerges in the course of Mozart’s open-work dialogues between the keyboard and the assorted wind and string instruments ... the quality of the strings, moreover, often avoiding vibrato, impart a haunted quality even in the midst of otherwise ravishing runs and flourishes ... my personal favourite among the variants, No. 6, bubbles and percolates with astonishing éclat ... (No. 8) journeys into more intimate realms, a virtual sonata in itself, before pouncing to a thrillingly spectacular finale." 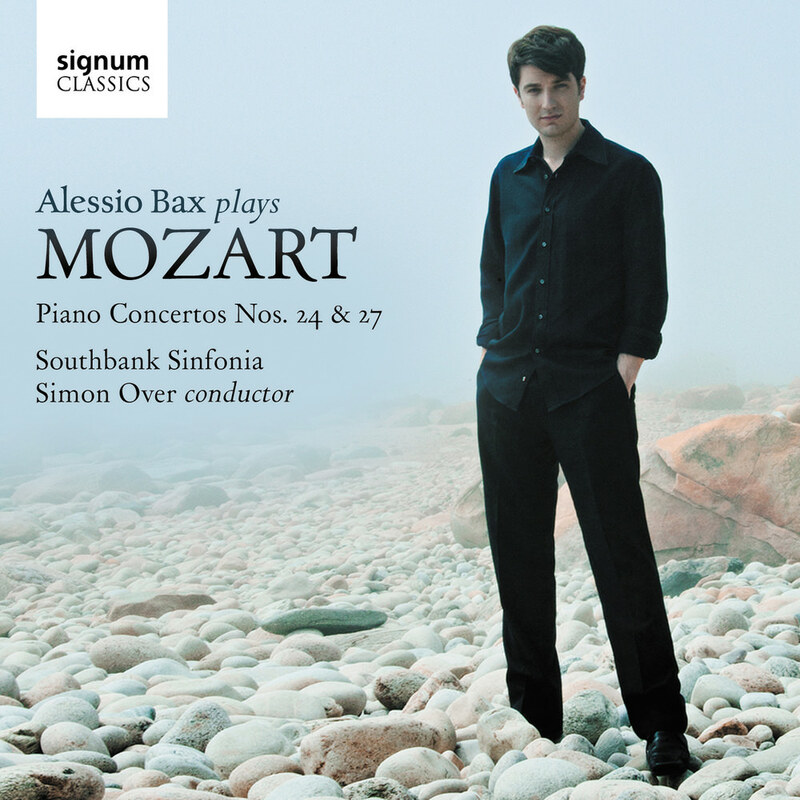 Italian-born pianist Alessio Bax follows an acclaimed 2012 Brahms release with this equally praised recording of Mozart piano concertos, performed with the Southbank Sinfonia led by Simon Over. Bax, a first-prize winner at the Leeds and Hamamatsu international piano competitions, is also a 2009 Avery Fisher Career Grant recipient.